Then, upon closer examination, I noticed a poster in the window promoting V-Mail. 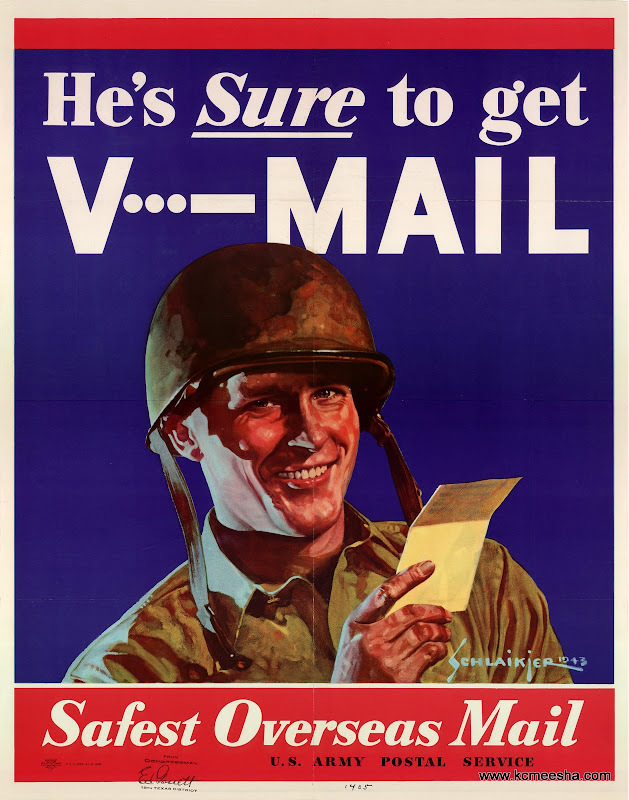 V-mail stands for Victory Mail. 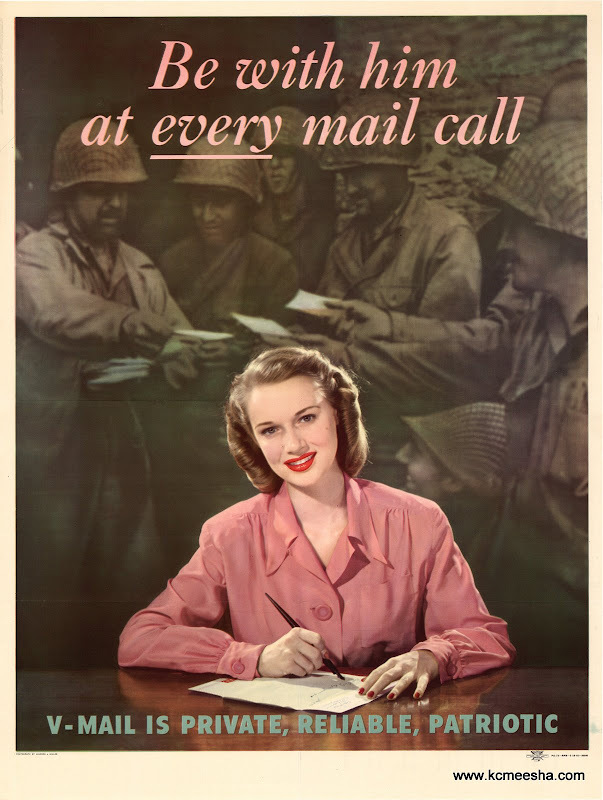 It was based on the similar British “Airgraph” system for delivering mail between those at home in the United States and troops serving abroad during World War II. V-mail correspondence worked by photographing large amounts of censored mail reduced to thumb-nail size onto reels of microfilm, which weighed much less than the original would have. The film reels were shipped by priority air freight (when possible) to the US, sent to prescribed destinations for enlarging at a receiving station near the recipient, and printed out on lightweight photo paper. These facsimiles of the letter-sheets were reproduced about one-quarter the original size and the miniature mail was delivered to the addressee. I didn’t find the exact same poster, so here are few other ones. 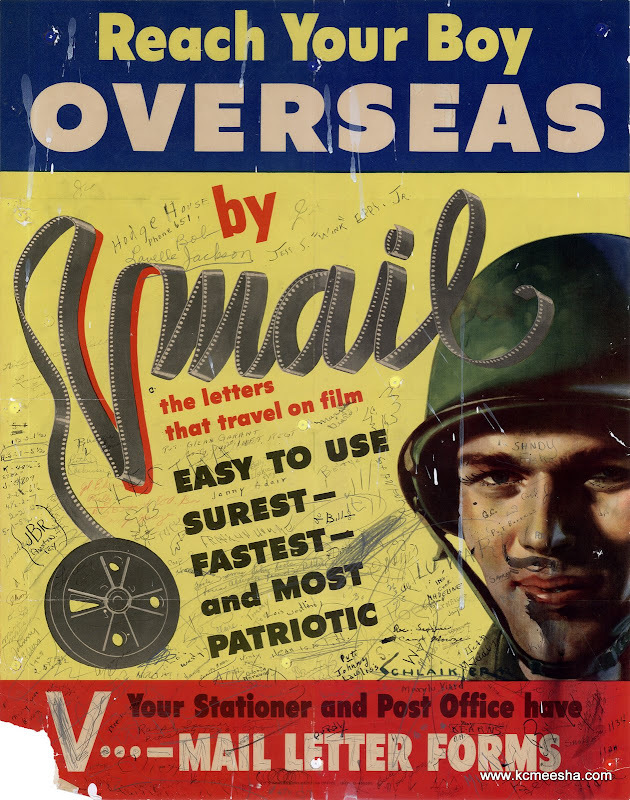 Visit Smithsonian online exhibition about V-Mail.